If it were possible, would you like to become a real citizen of Antarctica? Why or why not? In what ways do you think the Orta's art and passports symbolize Antarctica's borderless possibilities? 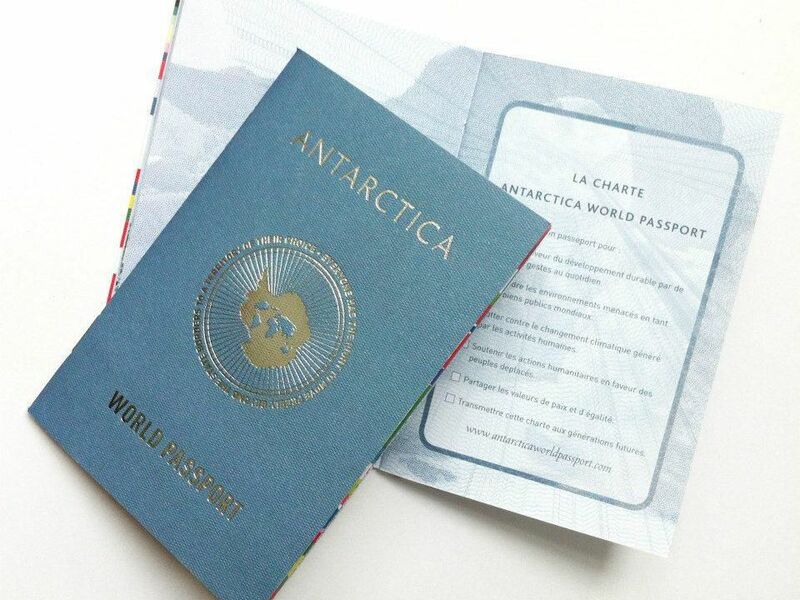 To receive an Antarctica World Passport, people must commit to the tenets of sustainability, peace and equality. What are you doing now that meets these requirements? What else could you do in the future? According to the article, the Antarctic Treaty stipulates that Antarctica "shall continue forever to be used exclusively for peaceful purposes and shall not become the scene or object of international discord." What do you think people could accomplish if these same principles applied to the rest of the world? As a class, brainstorm a list of political, physical and cultural characteristics that are typically used to describe a country. This list might include things like size, capital, leaders, population, tallest landform, tallest building, languages spoken, main ethnic groups, favorite foods or even famous people in the country's history. Divide the class into small groups. Instruct each group to pick one country to investigate. Using the class list as a base, have students pick the topics they think are the most interesting or most important for people visiting their country to know. Give students time to conduct research to learn more about their countries. Then provide each group with a table. Encourage them to create a display of pictures, facts and products that best represent their country. Rejoin as a class. Discuss what a passport is and the type of information it contains. Point out that when people visit a country, they receive a stamp in their passport. Provide each student with a "passport" or have students make one of their own. Then invite students to visit each table to learn about the different countries. Provide each table with a unique ink stamp. Have presenters stamp their classmates' passports after each visit. After students have visited each table, invite them to share what they learned with the class. Encourage students to identify features in the displays that made them want to visit these countries in real life. Instruct groups to include at least one picture and product in their display as well as a list of five interesting or important facts about the country they choose to investigate. Provide each student with a pre-made "passport." Instruct groups to include a map along with pictures, products and posters that relate interesting or important facts about the country they choose to investigate. Provide each student with a pre-made "passport." Instruct groups to include pictures, products and facts that relate political, physical and cultural characteristics of the country they choose to investigate. Have each student make his or her own "passport." Instruct groups to create a display with pictures, products and facts that relate political, physical and cultural characteristics of the country they choose to investigate. Encourage them to also create a brochure that will entice classmates to come and visit their country. Have each student make his or her own "passport." Read this Smithsonian magazine article to meet the man who has filled over 1,400 pages of passport during a life of travel. The coldest and windiest place on Earth is still largely undiscovered. Read this Smithsonian magazine article to see photos and learn facts about the world’s largest desert. This online exhibition from the Smithsonian Institution Libraries brings together selected travel accounts by Americans who visited Egypt in the nineteenth century. The site includes traveler accounts, a timeline of explorations and guidebook samples. The idea of having documents to cross borders is ancient. But when it became popularized in the U.S., it caused quite a stir. Read this Smithsonian magazine article to learn why. This teaching guide from the National Air and Space Museum introduces students to the tools and techniques used to navigate by the stars. Invite students to explore this Smithsonian Institution Libraries exhibition of art, artifacts, rare books and manuscripts of explorers, artists, writers and scientists whose creations have brought far-away lands closer to home. The exhibition includes works from six centuries with descriptions and enlarged detailed images. Categories include journeys over land and sea, journeys of the mind and journeys of the imagination. This section of the National Museum of American History’s online exhibit “On the Water: Stories from Maritime America” focuses on the role ocean liners played during the massive immigration of people to the United States from Europe and Asia during the late 19th and early 20th centuries. Students visiting the site will also learn how ocean liners such as the Mauretania, Titanic and the S.S. United States became a popular, and sometimes dangerous, mode of leisure travel for those who could afford it.